Creative writing is many things. Creative writing, the endeavor to express one’s self through the written word, the writer’s task to, ‘before all, make you see’ as uttered by Joseph Conrad, is something that’s usually associated with tedious clichés like how it’s so beautiful, or so inspirational, or just insert whatever positive epithet you can think of and that’s what it is. However, something about creative writing you might not hear very often is this. Creative writing, before all, is risky. It’s risky for a myriad of reasons. It’s risky because the poor, naive writer who has just tried to make himself vulnerable to his readers half-expecting his literary piece to be somewhat valued by them is suddenly confronted with judgement, disregard, indifference, and possibly contempt. It’s risky because with every appreciation you receive for your work comes its fair share of criticism. What Joseph Conrad left out when he uttered the quote above was that to make your readers see with the power of words would be completely meaningless if your readers are blind to the power of your words. Yes, creative writing is a risky ordeal. But to those who still carry on writing regardless. You, my friend, are a resilient individual. You are resilient for continuing your strive to connect to your readers despite failing to do so in certain instances. You are resilient because you understand that with sharing bits and pieces of yourself comes with its own gamble, yet you still share nonetheless. You are resilient because you remain steadfast to write with heart and soul simply for the genuine love of writing. For the IIUM writers of Clairvoyance Magazine, you are resilient. The objective of the magazine is to serve as a platform for IIUM students with a passion in writing to have their works published for others to read. It comprises of students’ original creative writings in the form of both poetry and short stories. 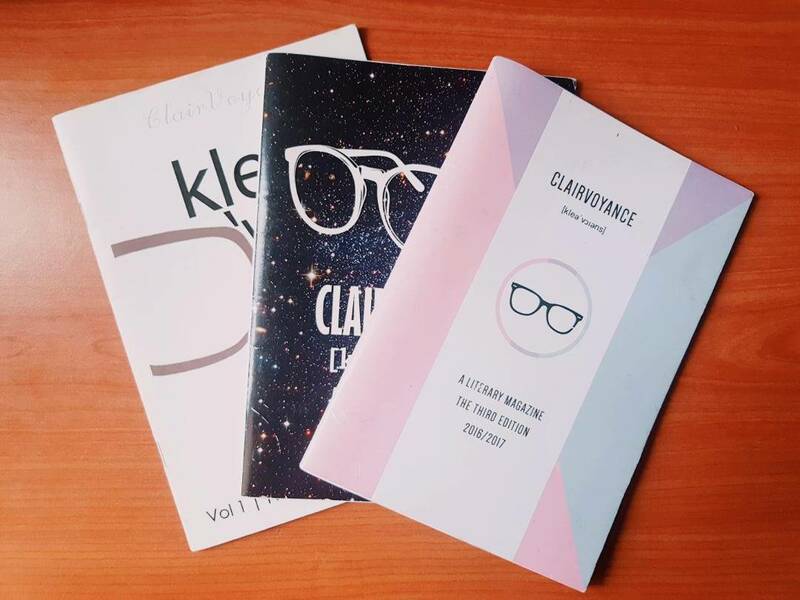 According to Hafiza, the inception of Clairvoyance, was initiated by the Secretariat of English Language and Literature (ELITS) in 2014 and up to this point they’ve successfully published three editions. “The first edition made its first appearance in November 2014 during BENL Writers’ Festival (BWF). The magazine is sold annually during the BENL Writers’ Festival,” says Hafiza. As for the purpose which Clairvoyance attempts to fulfill, this is what Hafiza has to say about it. Last of all, for those who are somewhat allured by the idea of this magazine, either as a writer or a reader, we ask Hafiza: What is the beauty of Clairvoyance magazine? 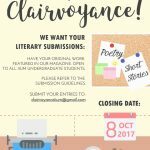 If you are interested in sharing your literary works, do submit your entries to: clairvoyanceiium@gmail.com. 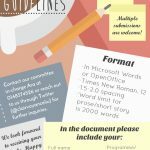 The guidelines for the submission can be read in the pictures below. The closing date will be on 8 October 2017.